DescriptionMake sure your guests sip away in style with a gorgeous floral design straw. Why not use these dreamy straws with our gorgeous Rose Gold Ditsy Floral Cups for a perfect combination. Each pack contains 25 straws measuring 195mm. Make sure your guests sip away in style with a gorgeous floral design straw. 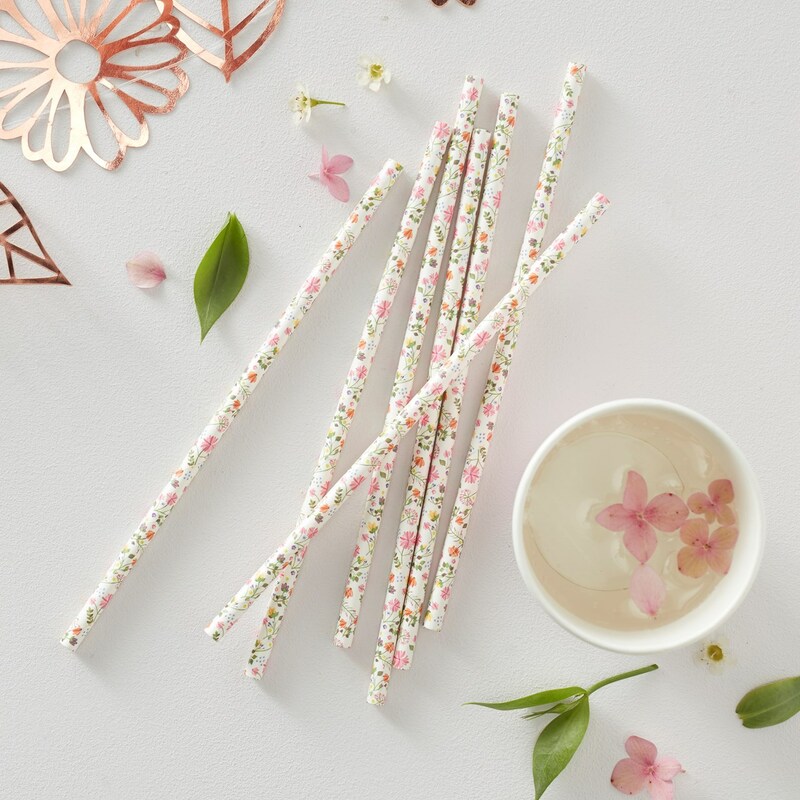 Why not use these dreamy straws with our gorgeous Rose Gold Ditsy Floral Cups for a perfect combination. Each pack contains 25 straws measuring 195mm.